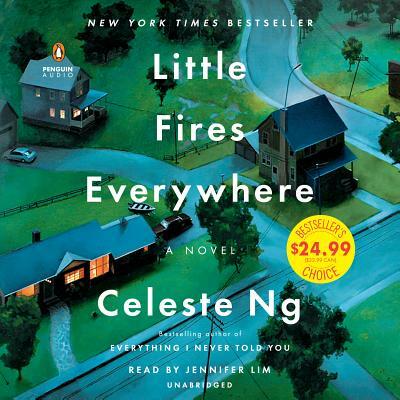 Little Fires Everywhere (CD-Audio) | Beach Books Inc.
CELESTE NG grew up in Pittsburgh, Pennsylvania, and Shaker Heights, Ohio, in a family of scientists. She attended Harvard University and earned an MFA from the University of Michigan (now the Helen Zell Writers' Program at the University of Michigan), where she won the Hopwood Award. Her fiction and essays have appeared in One Story, TriQuarterly, Bellevue Literary Review, the Kenyon Review Online, and elsewhere, and she is the recipient of the Pushcart Prize. She lives in Cambridge, Massachusetts, with her husband and son.